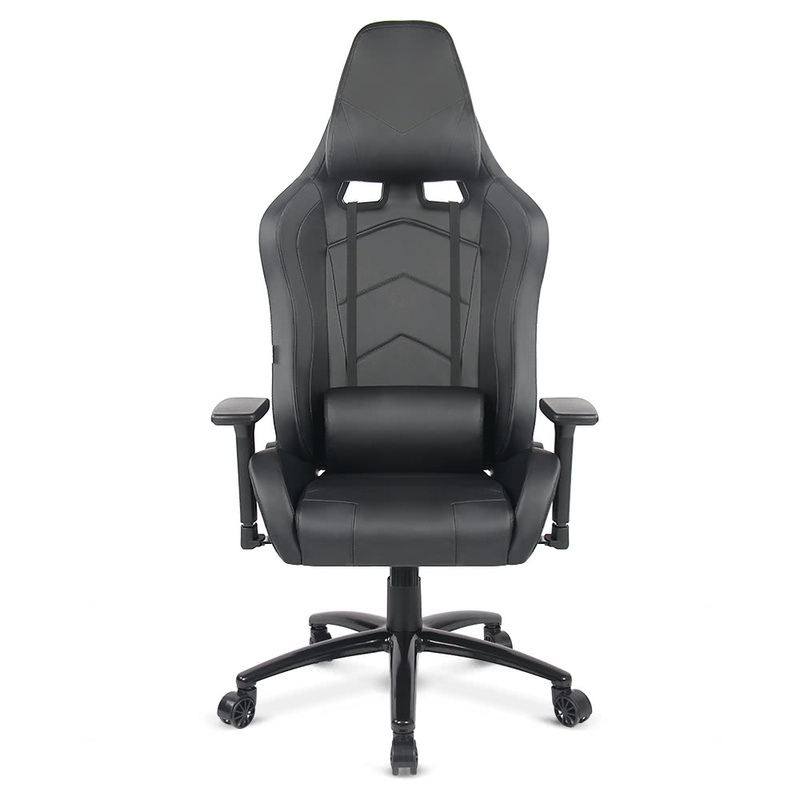 This gaming chair is designed to offer both luxurious comfort and durability with excellent materials. 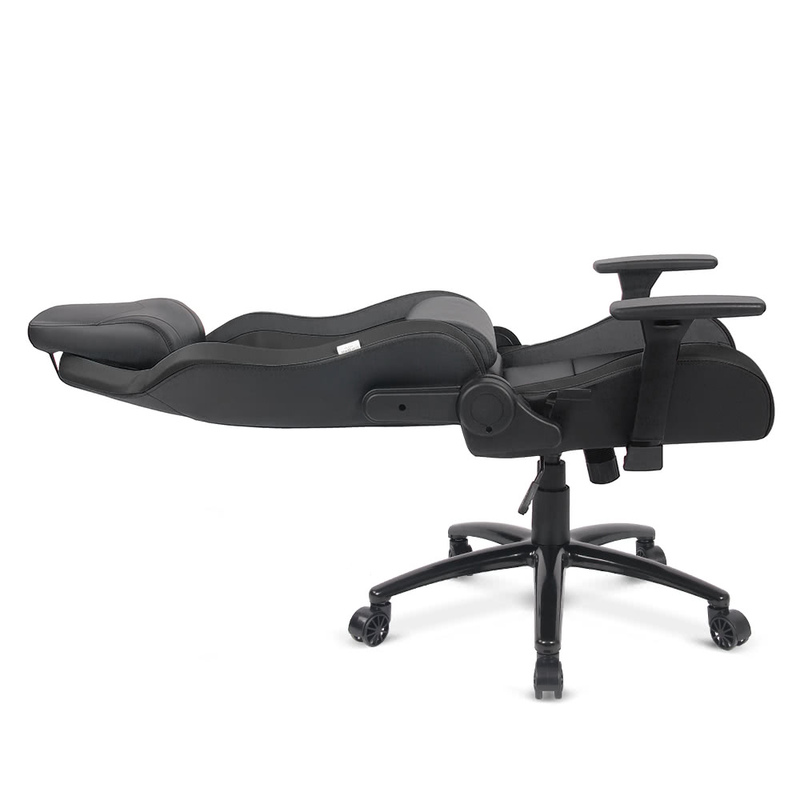 It can recline to 180°and used as a bed for sleeping or rest after long time working or playing games to drive away fatigue. 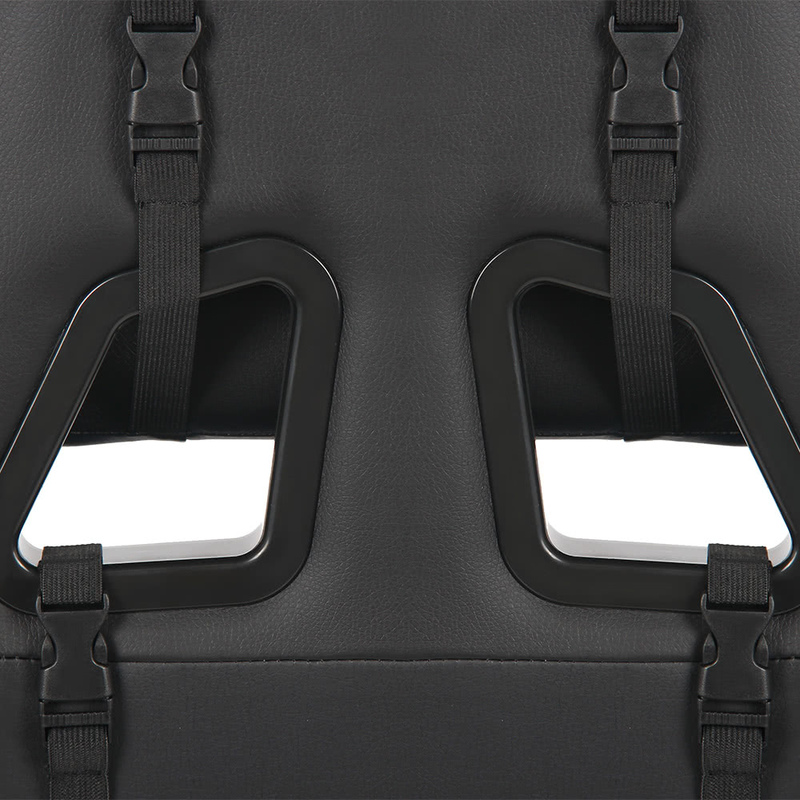 It also has removable headrest and waist pillow to protect your waist and has a good sleep. When you playing games, the armrest is rotatable to 4 directions(with the move of your wrist), or can be adjusted upward & downward. 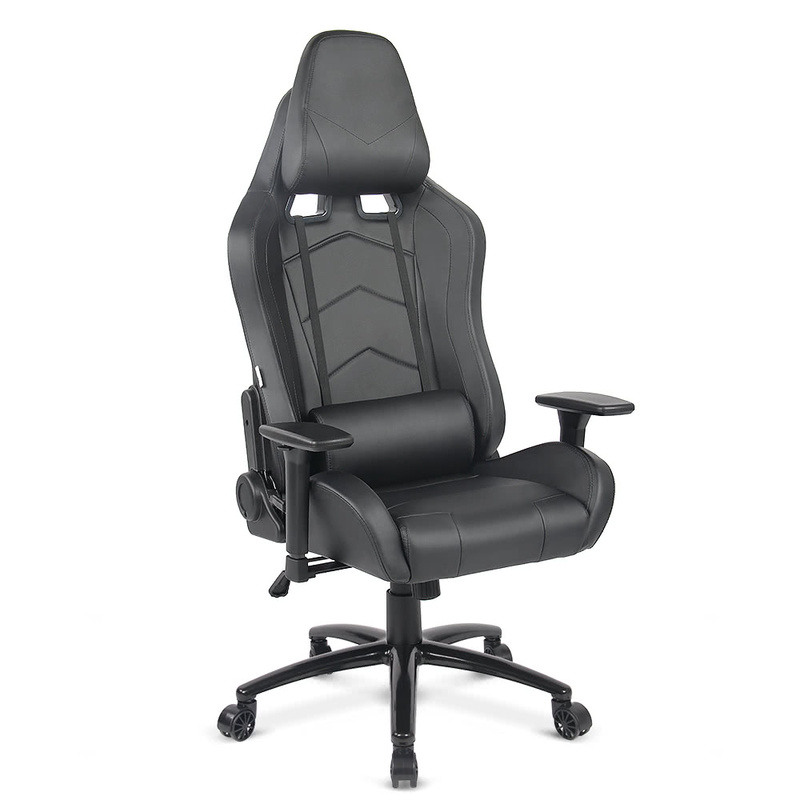 This chair is perfect for gaming or office use, with many functions, you really cannot miss! Apply excellent PU leather, cool in look. The back can recline from 90°to 180° to used as a sleeping bed. 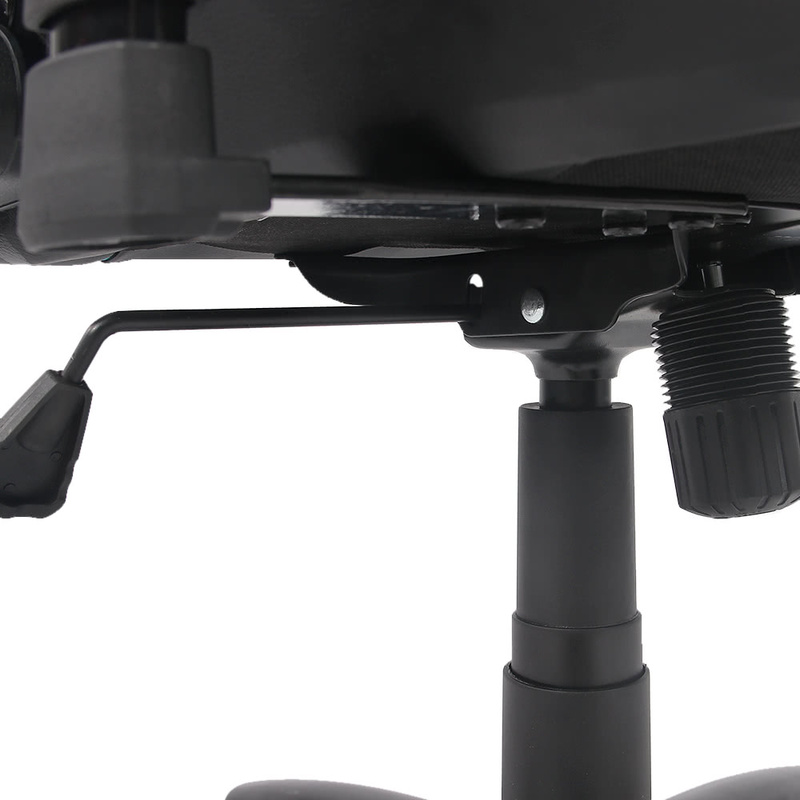 Rotatable armrest can be moved for 4 directions with the move of your wrist, and its height is adjustable. 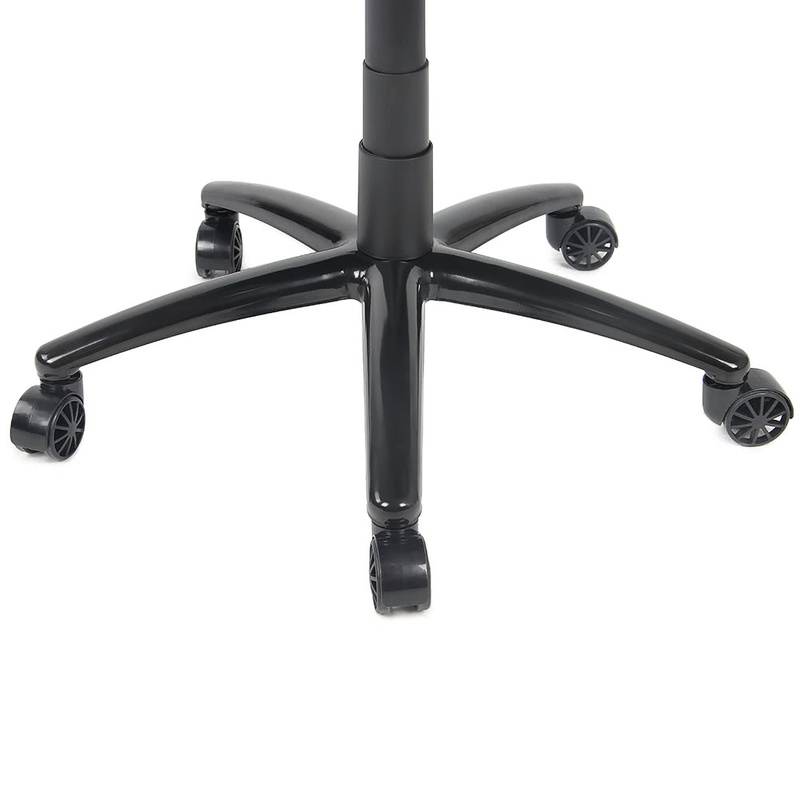 8cm chair height adjustable, Max.200kg load capacity. Convenient to tilt the seat backward by pulling off the height adjuster. Ergonomic butterfly back, foam padded, with removable headrest & waist pillow for long time cozy sitting or sleeping. 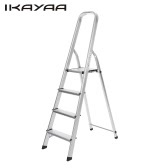 Solid construction, easy assembling, durable & sturdy to use. 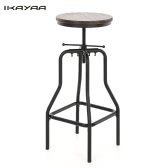 Height Adjustable: 8cm / 3.15"
Package Size: 85 * 68 * 37cm / 33.46 * 26.77 * 14.57"
Chair as described.Design and quality ok. This chair is the best combination of all the budget chairs as far as I can tell. What you are looking for if you are like me, is a budget version of a DXRacer or Maxnomic without the sacrifice of so much quality. 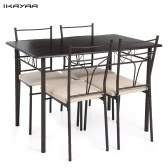 This chair is better than even the more expensive budget chairs, and I would highly recommend purchasing it.I did tons of research to save myself money, spending a long time looking at reviews and such, and this is what I would recommend and bought for myself. Where other budget chairs have issues, this one seems to have resolved them all-- and although it is more expensive, other places have this chair too for less but without prime. 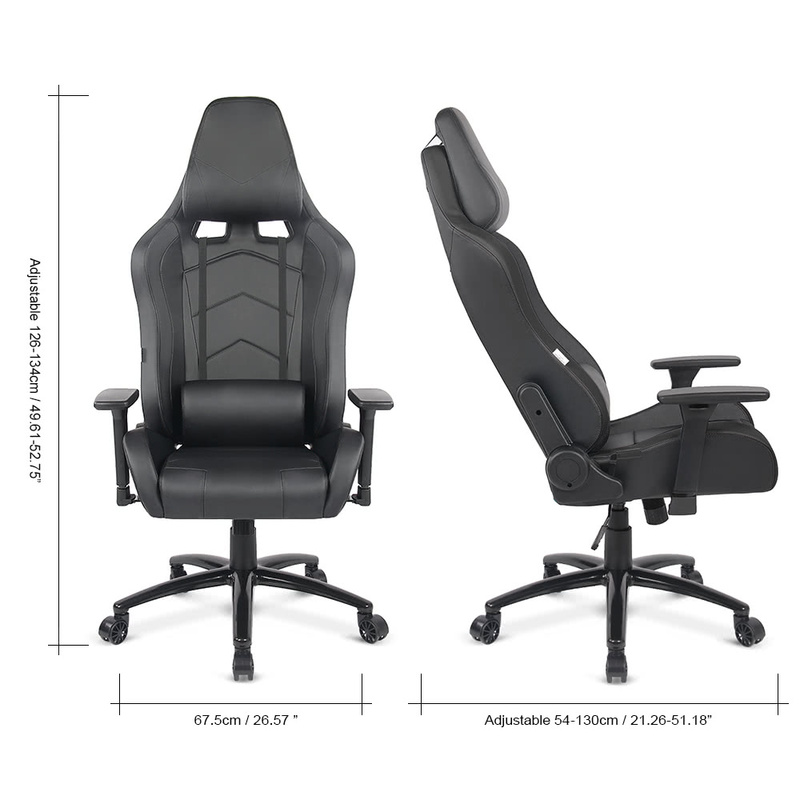 I got my chair for less than 110, shipped. The only thing this chair does not have is a free-recline feature: it reclines 180 but locks into position that you set with the lever. there IS a normal rocking adjustment, probably about 30 degrees-- this will recline both the seat and backrest at the same time(more like leaning). Other budget racers have at least one of the following issues: bad/non adjustable arm rests, bad pillows, poor stitching, unbalanced wheels that flip the chair when reclining all the way back, bad plastic parts that break after a short time including on the wheel area, small seat width, padding that flattens after a short period of time, terrible smell that does not go away, mold or similar on the pleather, plasticky feeling material, etc. This chair on the other hand: up/down adjustable arm rests, with forward and back rest movement(that is tight unlike other chairs). It has very nice pillows, though they seem much firmer than other chairs(I use the headrest but not the lumbar). 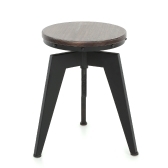 The wheel base is metal and sturdy, has good quality wheels, VERY well balanced and has not flipped on me, wide wings to fit larger tushes, firm padding that will seemingly not wear down(remains to be seen but its the perfect softness for long periods on the chair), hardly smelled at all, came in 100% clean, and the material not only looks exactly as pictured with the colors, but also is the same type of leather you would see on things like headphone bands which is a quality i like. 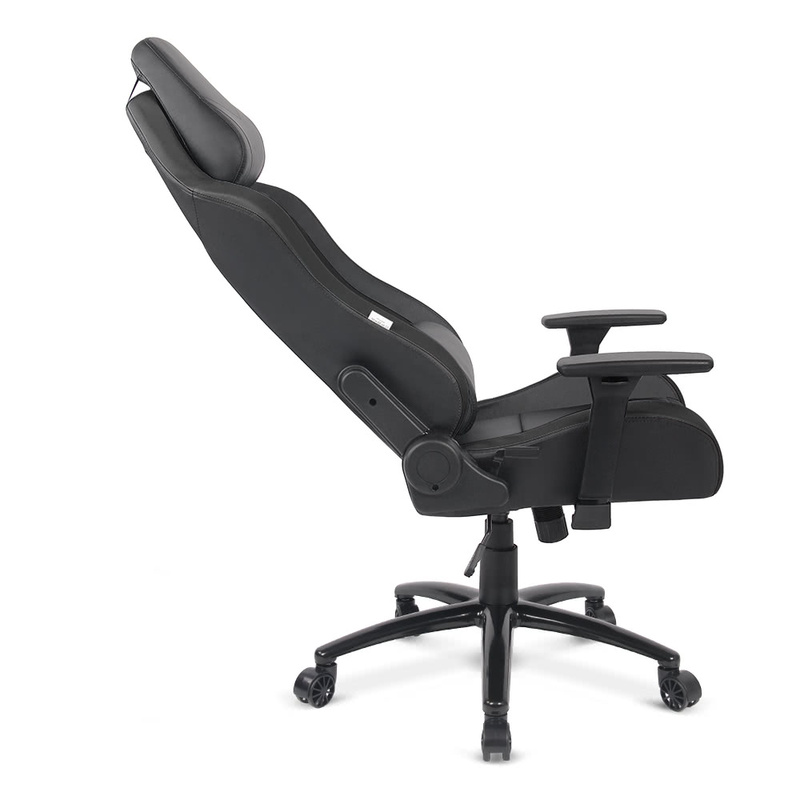 It reclines to 180 easily, and the recline lever seems sturdy. After having this chair roughly a week, there are only a few issues to mention: Assembly-- easy enough, only a few heavy duty screws and snap-ins. Comes with a tool already. I did require 2 people to assemble it however, as getting the side screws into the back of the chair requires downward pressure. The rocking feature is a little creaky, but I imagine I can get some wd-40 for that. The backrest makes a few noises as well as it broke in, but isnt bad. All of the stiching is complete, but some are slightly off visually. 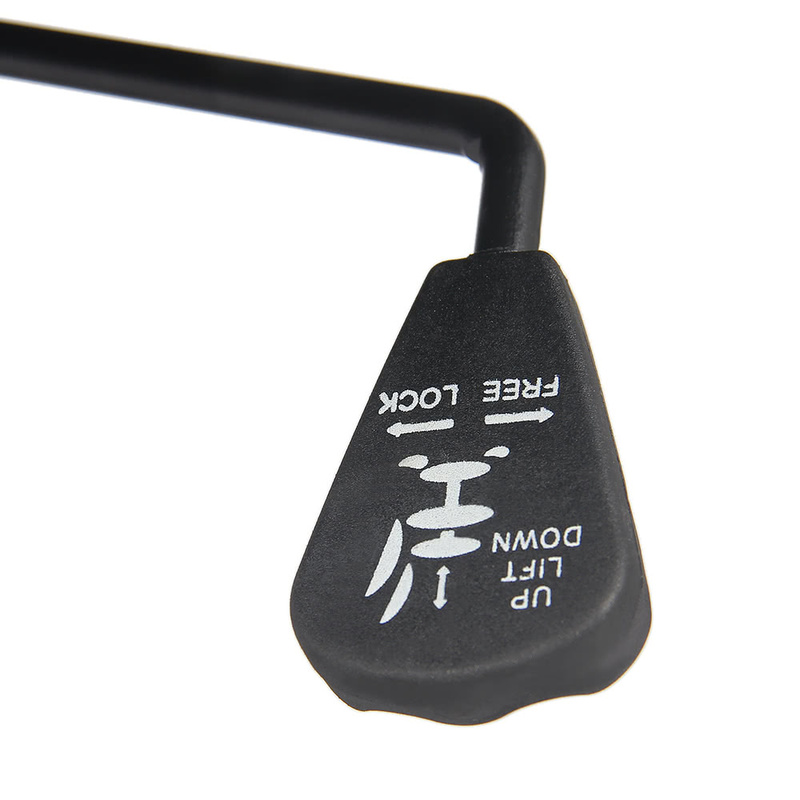 My only other thing to note when assembling: BE VERY CAREFUL WITH THE LEVER-SIDED SCREWPLATE! Mine came in at the 180 degree position-- when I pulled the lever, it snapped back to 90 fast as heck. If i was holding it, it would have slit my hand-- it struck my palm and left me with a mark for the day. Thinking back, the chairback may have been meant to be assembled in that position first. oh well. I will try to update my review if any problems arise. I liked the red one so much - I bought a blue one! Beautiful! Comfortable! WOW! Gf bought this for me as a surprise. I was hesitant when I saw the price compared to the dxracers. 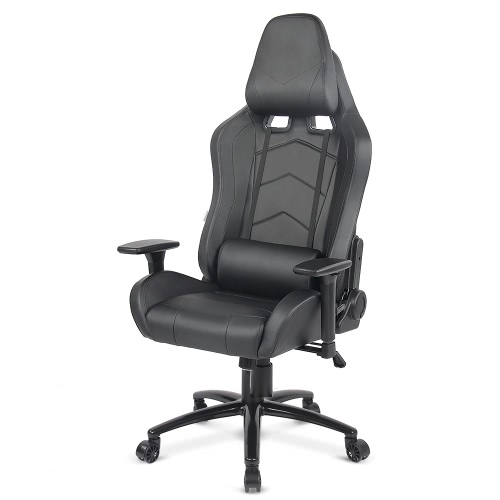 Ive never sat in a dxracer, but this chair leaves me with no desires. I was extremely impressed for the price. The arm rests are super adjustable which is great. I find with the provided head pillow accessory, i have a hard time getting comfortable so i usually leave that off. I do use the lumbar pillow. The seat is nice and wide and hasnt shown any signs of wearing in yet in the first couple months. 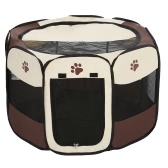 Perfect, just as described, great product, quick shipping! Great seller! Chair is super, got here fast; ordered another one this morning! High back is great. Comfortable. Use it for gaming and computer work in office.This seemed to be the best quality for the price. i have been using it for about 4 weeks. So far so good! Recommend for the price! These chairs complete our gaming room! They are super comfortable and very nice quality. We bought two of them at once.You can trust these sellers. Would definitely buy again! I bought this chair for my boyfriend for his birthday. He used to have a chair that was not made to sit in for long periods of time, and was far from comfy. As he writes reviews and is often at his desk, I thought it was time for a nice upgrade real office chair. He absolutely loves it and told me to make this a 5 star review.